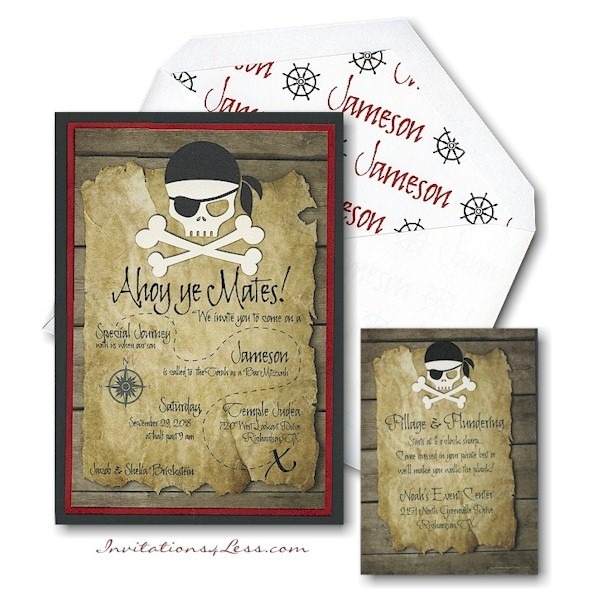 This fun Bar Mitzvah invitation features a pirate and treasure hunt theme! The top layer displays your raised-printed wording incorporated into a treasure-map. A pirate skull with crossbones appears at the top. 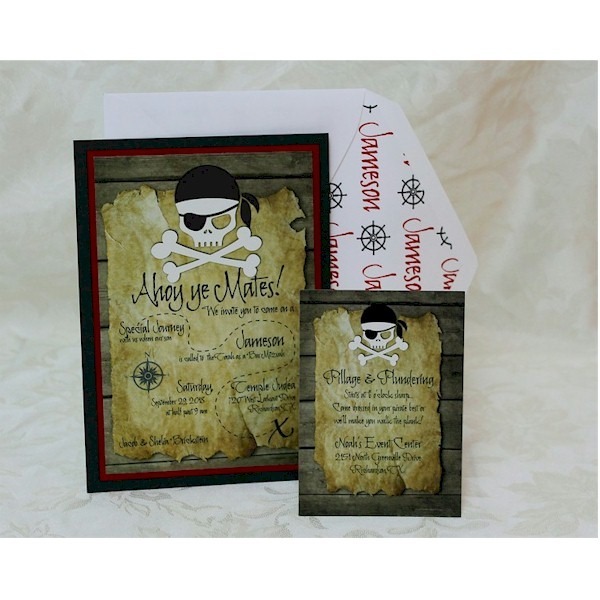 This fun Bar Mitzvah invitation features a pirate and treasure hunt theme! The top layer displays your raised-printed wording incorporated into a treasure-map. A pirate skull with crossbones appears at the top. The following 2 layers of Blaze Suede and Smooth Plike Black card stocks provide the finishing touch. Measures 5-1/2″ wide by 7-3/4″ high. Shown with lettering styles Rosemary Modified Italic and Black ink. The Reception and Response enclosures print on matching single cards stock and the Informal notes print on matching folder stock. This Bar Mitzvah invitation is accompanied by double bright white envelopes.